What is the definition of the term "hit and run" in poker? 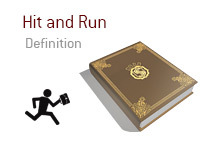 What is meant by "hit and run"? 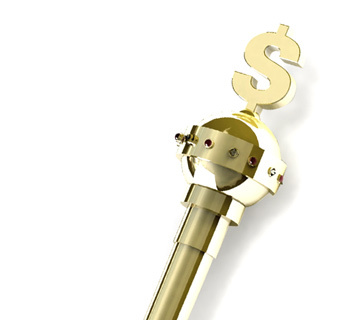 In poker, a "hit and run" occurs when somebody enters a cash game, wins a large amount of money in a short period of time, and subsequently leaves the table almost immediately. A "hit and run" is considered to be very poor poker etiquette, as players are expected to be given a chance to win some of their money back. A guy sits down at your cash game table at your local casino. He buys in and starts to play. Two hands into his night, he gets dealt pocket Aces and wins a massive pot that saw three other players go all-in pre-flop. This guy's pocket Aces hold up, and he wins a massive pot. After raking in the pot, the guy plays one more hand, collects his chips and leaves the table, much to the consternation of the remaining players at the table. This is a perfect example of a "hit and run" - after winning a pot like that, a player is expected to play for at least a decent period of time after that (under these circumstances, a minimum of another hour of play would be considered acceptable). If you "hit and run" frequently, don't expect people to want to continue playing with you.